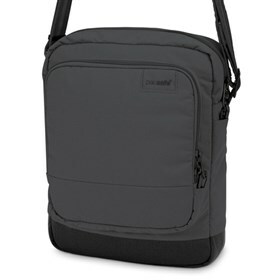 The Pacsafe Citysafe LS150 is a anti-theft cross body shoulder bag designed for your essential travel or days needs. It is designed for wearing across the body for extra comfort and security and a RFID-blocking zip pocket which safeguards your information, while a secret pocket secures your jewelry. The Citysafe LS150 is equipped with durable eXomesh® construction and an adjustable slashproof Carrysafe strap. Bag slashers target outside fabric panels of bags (front, bottom or side), which cause valuables to fall out and into the palm of their hands. Our lightweight slashguards are built into (and concealed) in the most vulnerable areas of the bag, helping to protect your gear from a quick slash-and-run theft. Our eXomesh® protection in our luggage extends the full length of the bag helping to protect your gear from opportunistic theft or if it's snagged in transit. Zipper pullers can be attached to discreet security hooks or placed under and through a secure tab to help prevent pickpockets reaching into your bag. Strap Length : 13.77" - 29.52"
Volume : 488 Cubic In. 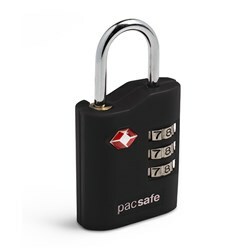 The Pacsafe Citysafe LS150-Black has many exciting features for users of all types. See the Pacsafe Citysafe LS150-Black gallery images above for more product views. 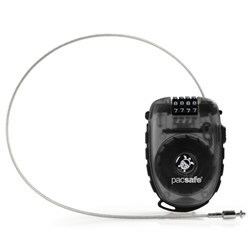 FactoryOutletStore stocks a full line of accessories like 4 Dial Retractable Cable Lock and Combination Lock for the Pacsafe Citysafe LS150-Black. The Pacsafe Citysafe LS150-Black is sold as a Brand New Unopened Item.